My Cluttered Corner: Five Fun Fave Finds on Friday! Cloud Stencil to New Distress Inks & MORE! Five Fun Fave Finds on Friday! Cloud Stencil to New Distress Inks & MORE! 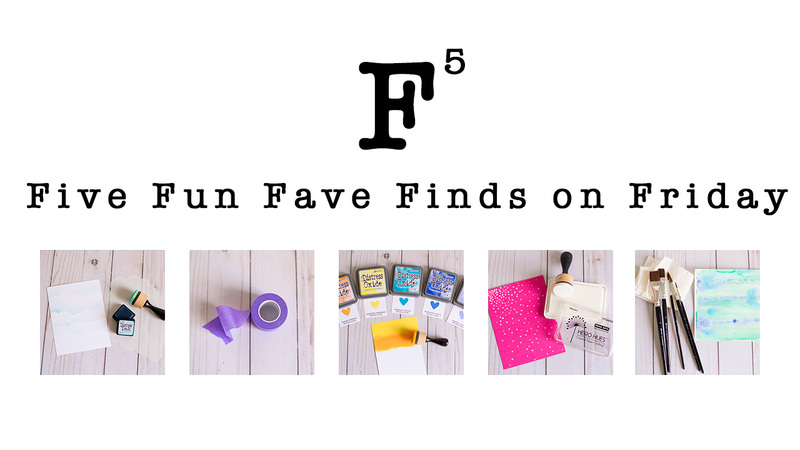 Welcome to another episode of F5th or Five Fun Fave Finds on Friday! 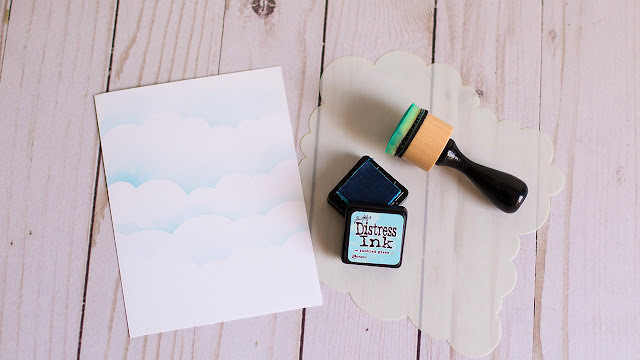 This week, I started by showing off the My Favorite Things Cloud Stencil. This has been out for a while, I know, but it took me a long time to decide that I did need it lol! I am so glad I did, because I think I will be creating tons of cute scenes on cloudy backgrounds! Next up are the new colors of Distress Oxide Inks (and a few that are just new to me). 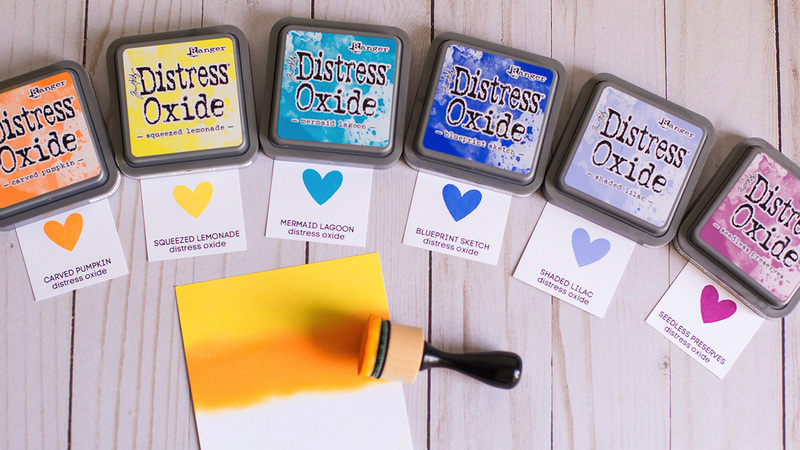 It's no secret that I think Distress Oxide Inks are AMAZING. I love the new bright, happy colors. I am also loving Therm O Web's Purple Tape. 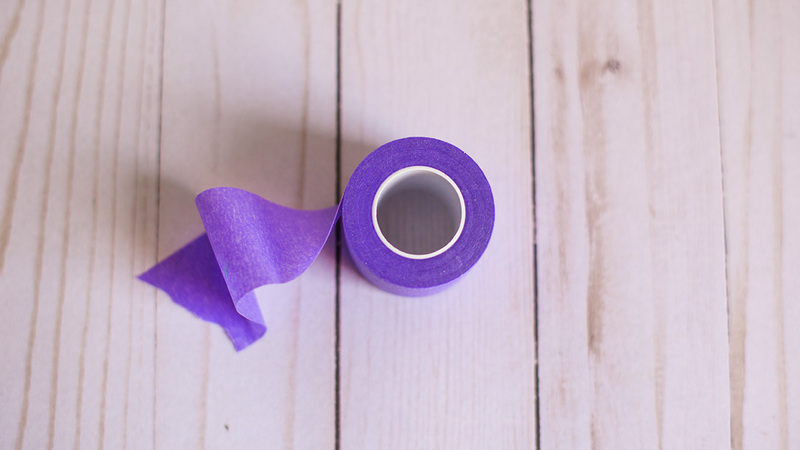 It is a special low tack tape made for crafters. You can use it to tape down a stencil and ink over it, or a watercolor piece, or for masking lines, or for temporarily adhering dies so they don't move around in your die cut machine. It is a must-have in my opinion. Then I featured the Ranger Artist Brushes. I have had this pack for a long time and the brushes have held up really well. I like that you get a variety of sizes in the pack and honestly the price point can not be beat! 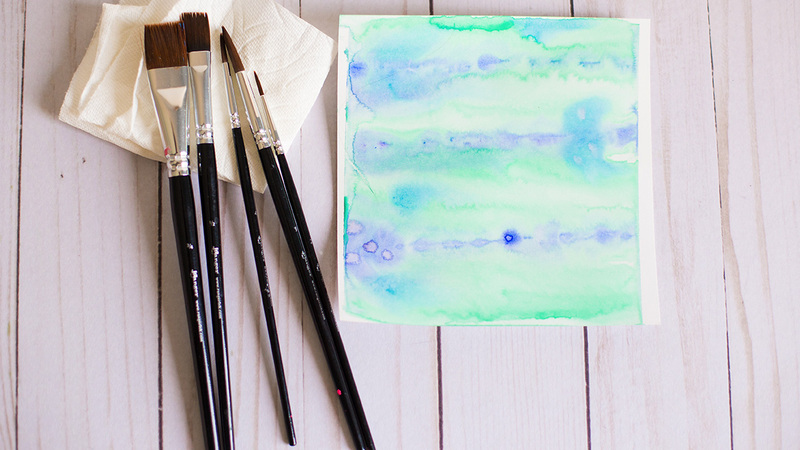 I'm sure if you are a true water color or oil artist you need specialty brushes, but for my purposes these brushes are perfect! Finally, I focused on the Hero Arts Unicorn White Pigment ink. My previous white pigment ink pad (from another manufacturer) dried out and I had never been that happy with the coverage it provided. But this Hero Arts ink is a game changer. 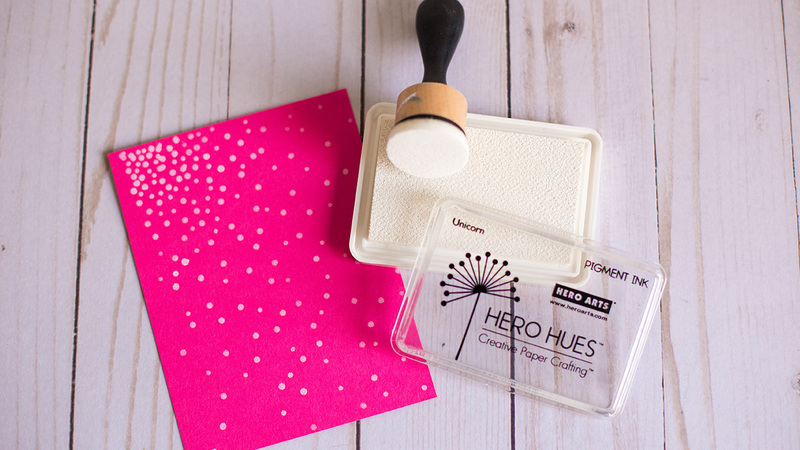 It has a beautiful opaque look and stamps wonderfully too! And you can shop for these supplies down below if any of them strike your fancy! Thanks so much for stopping by!